With the presidents of bishops conferences from across the world descending on the Vatican next week, the panel looks at the upcoming child protection summit and what we might expect. Pope Francis has returned for the summit after spending five days in Panama for World Youth Day, which attracted hundreds of thousands of people. In the South Pacific, serious concerns have been raised about the treatment of asylum-seekers currently living in Papua New Guinea, while in Fiji, the appointment of Catholic school principals caused a rift between the Church and the government. Thankfully, there’s news that religious people are more likely to be happy, so Anna, James and Gavin can at least rejoice in that. Enjoy the show. Pope Francis has issued his third apostolic exhortation, calling on people to consider how they can lead a life of holiness under the title of (in English) “Rejoice and Be Glad”. There’s not much rejoicing in New Zealand, as child abuse again dominates headlines, but an investigation in that country appears set to exclude churches from its scope, despite Catholic and Anglican leaders calling for their inclusion. Back in Rome, a gathering of young people has produced a document that — to a large extent — calls for the Church to better explain why it believes what it believes. In the US, Facebook has acknowledged some errors in deleting Catholic content, while in Brazil, it is others who are calling out the errors of the ways of a parish that went a bit overboard in modernising the liturgy. Join Anna, James and Gavin for a journey through a month of Catholic news and insights. As the euthanasia debate heats up in New Zealand, so has criticism of some of the advocacy, including material found in a Catholic cathedral. In Canada, people of faith have much to be critical about in Prime Minister Justin Trudeau’s edict about government funding for a summer jobs program. In Christchurch, a city still recovering from devastating earthquakes several years ago, a new church has offered a ray of sunshine, but it’s not so positive for Pope Francis when one looks at his work to tackle child sexual abuse — highlighted again on his recent trip to Chile.  As always, Anna, Don, James and Gavin offer something a bit lighter after an intense but important discussion about some of the big Catholic stories of the month. In the final episode of 2017, there is cause for celebration, but also cause for concern. In New Zealand, Catholics welcomed the appointment of a new Bishop of Christchurch. But there was also fear that attempts to legislate euthanasia might be successful in the country, though there are many hurdles before that can happen. In Europe, Pope Francis is wondering aloud if the Lord’s Prayer might be confusing people, while the new Polish leader wonders how Christianity might again shape Europe. But when it comes to pure fun, our Anglican friends seem to have it sorted, with a toboggan ride in an English church. 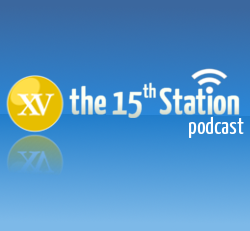 Just another fun Christmas episode of The 15th Station. Wishing all our listeners and your loved ones a happy and holy Christmas.